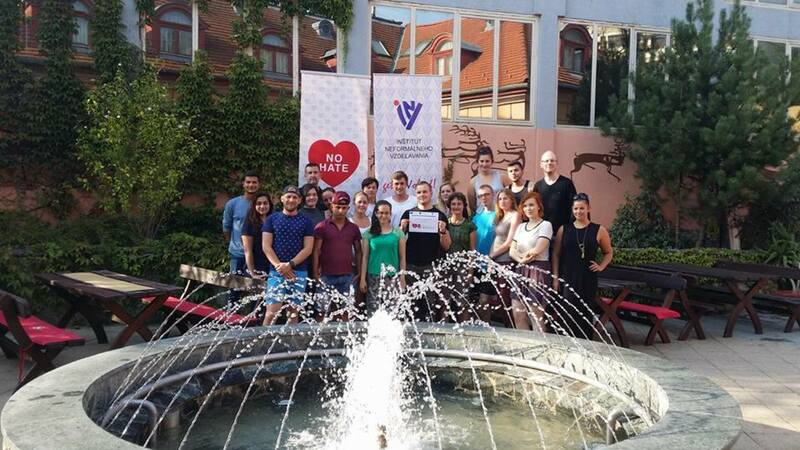 Twenty young people gathered in Esztergom, Hungary for NO HATE SPEECH MOVEMENT training course. The aim of this meeting was to reduce violent radicalization and national extremism in the four Visegrad countries (Slovakia, Hungary, Czech Republic and Poland). In order to achieve this goal participants took several workshops about Human rights, how to improve management and coordination of the national and regional campaign, to advocate for the importance and of combating hate speech, to design and plan regional activities and many others. 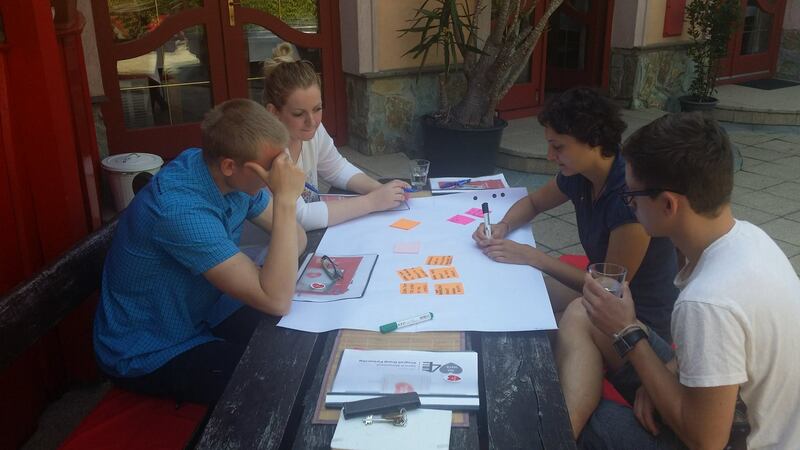 For few participants it was their first Erasmus+ project. Coordinators of national campaigns spread their experiences and tips how to maximize the success. Further cooperation among Visegrad countries was also discussed and planned. The key material for this project that has been introduced to the participants was revised edition of BOOKMARKS – A manual for combating hate speech online through human rights education. Then participants as potential facilitators picked up one educational activity from BOOKMARKS that they then adjusted for the simulated target group made up from the rest of participants. They had the opportunity to try out the theory in use. The practises were later discussed in order to find improvements, spot potential risks, etc. and make the facilitators prepared as much as it is possible. Another very useful tool for Czech participants not yet very well-known was the opportunity to try out being a part of HATE SPEECH WATCH. Which means to report HATE SPEECH content to the NO HATE SPEECH MOVEMENT for educational purposes. HATE SPEECH WATCH is not for eliminating the HATE SPEECH from the internet but for preventing it to appear on the internet.